Jøtul F 105 also offers different finish options and you can choose between either black paint and maintenance free white enamel available fall 2015. Jøtul F 105 is adapted for low energy homes. 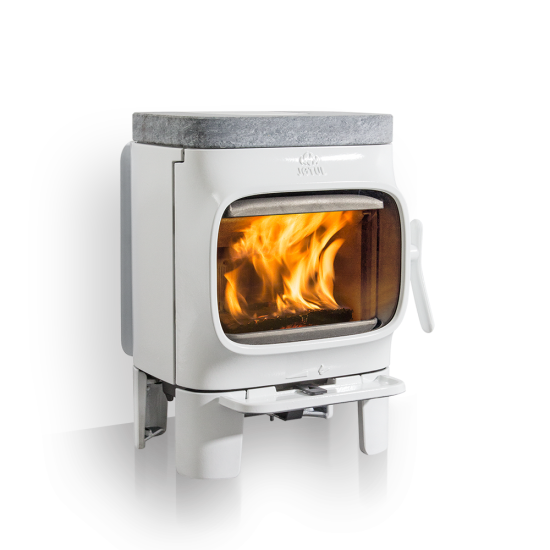 Approved for Class 1 means the wood stove is able to burn clean at lower efficiency than for Class 2. Class 1 products burns clean at lowest wood consumption below 0.8 kg / per hour, while Class 2 products burns clean with lowest wood consumption under 1.25 kg / per hour.